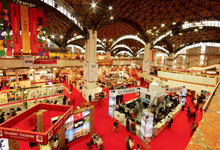 India Trade Promotion Organisation (ITPO), headquartered at Pragati Maidan, is the nodal agency of the Government of India under aegis of Ministry of Commerce and Industry (India) for promoting country's external trade. ITPO is a Schedule-B Miniratna Central Public Sector Enterprise (CPSE)[ with 100 percent shareholding of Government of India. ITPO is going to organize 34th India International Trade Fair (IITF) 2014, at its known location Pragati Maidan during 14–27 November 2014, with “Women Entrepreneurs” theme. The charges for entry on Business days is kept at Rs.400 and for general days as Rs.50. india Trade Promotion Organisation (ITPO) was incorporated by merger of Trade Development Authority (TDA), a Registered Society under the administrative control of the Ministry of Commerce & Industry, with Trade Fair Authority of India (TFAI) with effect from 1 January 1992. ITPO, during its existence of more than 3 decades has played a proactive role in catalysing trade, investment and technology transfer processes. Its promotional tools include organizing of fairs and exhibitions in India and abroad, Buyer-Seller Meets, Contact Promotion Programmes, Product Promotion Programmes, Promotion through Overseas Department Stores, Market Surveys and Information Dissemination. 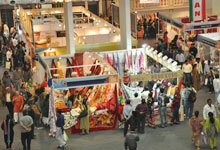 Organising various trade fairs and exhibitions at its exhibition complex in Pragati Maidan and other centers in India. Facilitating the use of Pragati Maidan for holding of trade fairs and exhibitions by other fair organisers both from India and abroad. Timely and efficient services to overseas buyers in vendor identification, drawing itineraries, fixing appointments and even accompanying them where required. Establishing durable contacts between Indian suppliers and overseas buyers. 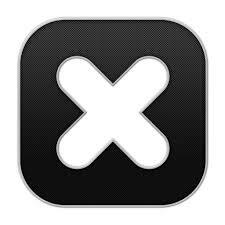 Assisting Indian companies in product development and adaptation to meet buyers' requirements. 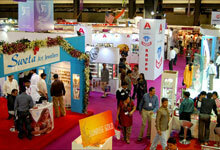 Organising Buyer-Seller Meets and other exclusive India shows with a view to bringing buyers and sellers together. 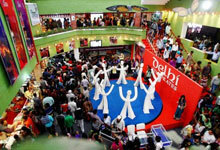 Organising India Promotions with Department Stores and Mail Order Houses abroad. 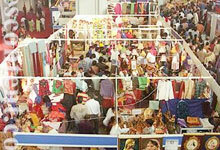 Participating in overseas trade fairs and exhibitions. Arranging product displays for visiting overseas buyers. Organising seminars/conferences/workshops on trade-related subjects. 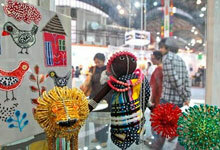 Encouraging small and medium scale units in export promotion efforts. Conducting in-house and need-based research on trade and export promotion. Enlisting the involvement and support of the State Governments in India for promotion of India's foreign trade. Trade information services through electronic accessibility at Business Information Centre.